Learn to dive with Timuna Sea's range of courses in Canary Wharf, East London. Why not try our trial pool dives. If you are already qualified, why not refresh your skills before your next dive trip. From those seeking guidance whilst taking their first exploratory breaths in a swimming pool, to those seeking instructor status, Timuna Sea has the flexibility to meet the needs of all divers. 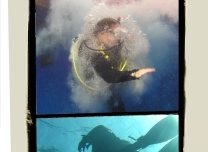 The course is divided into 5 modules, which teach you the relevant skills to dive safely and enjoyably. You will read your manual, watch the video with your instructor and then go off to the pool to put the skills into practice, in a controlled confined water area. You will progress easily and confidently through each of the stages with close guidance from your instructor, who will make sure that you receive all the help that you need. Once you have mastered you confined water skills, then you will move on to complete the course with your supervised open water dives. Unlike some dive training centers, training from Timuna Sea provides all the necessary equipment that you will need to do the course and embark on your diving career with our unique training and equipment packages. All of our courses also include Crewpacks and Manuals and for extra comfort - free use of pool suits. On completion of the course you will receive your personalized PADI certification card, which entitles you to hire supplemental equipment and dive anywhere in the world! If you have lost your certification card, we are able to organise a replacement for you through PADI. The cost is £35 and typically takes 3-4 weeks. In addition to your personal details & a passport photograph, please provide as much of the following information you have; Dive Centre name, country of qualification, certifying instructor & date of qualification. Open Water: eLearning referral part 1 (online knowledge) Sign up for eLearning. More info. Advanced Open Water: eLearning referral (online knowledge) Sign up for eLearning. Rescue Diver: Scenarios, if you completed the referral with another Centre. Includes pool review. 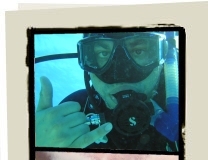 Divemaster (online knowledge) Sign up for eLearning. Dive Theory (online knowledge) Sign up for eLearning. Instructor Development Course (online knowledge) Sign up for eLearning. Enriched Air Diver: eLearning referral part 1 (online knowledge) Sign up for eLearning.